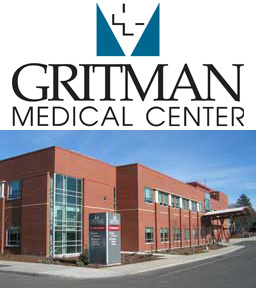 Gritman Medical Center is an award-winning, 501(c)(3) not-for-profit, Critical Access Hospital, serving residents of the Palouse and beyond. Gritman was established more than 100 years ago to address a need for health services in our community. Our mission is to provide extraordinary care to improve the health of people in our communities. Besides providing emergency and surgical procedures, Gritman offers free mammograms to local women who are unable to cover the screening on their own through the Bosom Buddies program. We provide services to help cancer patients improve their quality of life through the Light a Candle program. We also offer free and low cost therapy, fitness classes, wellness screenings, free blood pressure clinics and smoking cessation classes as well as support groups for caregivers. For a complete list of services at Gritman Medical Center, including our new Wound Healing Center, please visit www.gritman.org.